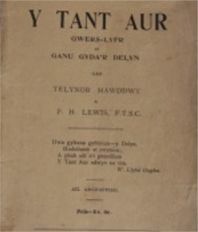 When Telynor Mawddwy, Dafydd Roberts (the blind harpist from Llanymawddwy), published his guide to cerdd dant, Y Tant Aur (‘The Golden String’) in 1911, all the copies were sold within a relatively short time. It appears therefore that there was a substantial amount of interest in the old art of cerdd dant in all parts of the country. However, it seems there was a great deal of argument and disagreement regarding the correct way of going about setting the words (gosod), which melodies were appropriate, and so on. The lack of any guidelines and the lack of hard and fast rules created uncertainty, and this is what eventually led to the formation of the Cerdd Dant Society in 1934. One of the most influential figures was the blind harpist, David Francis. 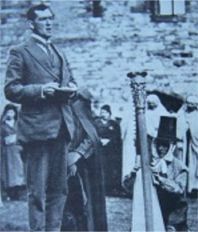 His home in Blaenau Ffestiniog became a popular venue for learning the secrets of cerdd dant for a number of people, amongst them J.E.Jones from Maentwrog, the author of Swyn y Tannau and one of the best penillion singers of his time. 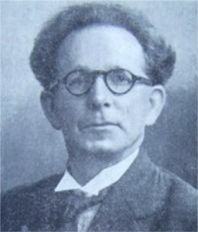 Another person who took a keen interest was David Roberts (Dewi Mai o Feirion), who became one of the most central figures in cerdd dant in the twentieth century. In his weekly column in Y Cymro (The Welshman) in the 1930s and also in Y Brython (The Briton) he raised a series of questions that needed clarification. 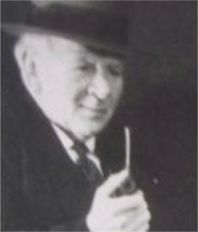 His column created constant and lively responses in the letter columns, and the eventual result was a conference to establish the Cerdd Dant Society in Bala. At the time, the status of cerdd dant was quite low. In the Wrexham National Eisteddfod in 1933, for example, all the cerdd dant competitions had been placed in one of the side pavilions. Some individuals complained about a deterioration in standards compared with days gone by (on the other hand, Dewi Mai had compiled a list of 210 cerdd dant singers who were active in the field in all parts of Wales in 1934). One thing that Dewi Mai emphasised was the need to improve the musical standards of cerdd dant – once again echoing something which Telynor Mawddwy had felt twenty five years earlier. His call was heeded: in the Machynlleth Eisteddfod in 1937 the first prize for a collection of melodies and counter melodies was awarded to a professional musician, Dr Haydn Morris from Llanelli. Many of Haydn Morris’s melodies soon became commonplace. The establishment of the Cerdd Dant Society in 1934 was the most crucial event in the whole history of the art, because it led to huge developments. The first task of the new movement was to draw up a list of rules, once and for all. This was no easy matter, and the discussions and arguments became protracted. Indeed, all the rules were not settled finally until the 1960s. Initially, some people complained that rules such as these were mor likely to stifle cerdd dant rather than encouraging it, but the long term effect was to remove the uncertainty and to create order out of disorder.